Imagine feeling happy with your body and confident in yourself! No longer struggling to shed a few stubborn kilos or stuck in diet mindset - but being at YOUR HEALTHY GOAL WEIGHT! Imagine being able to lose weight in a healthy consistent way and keep it off! You don't have to go down the surgery route. With my help people change their mindset and their relationship with food and exercise so that they can successfully achieve their healthy weight goals. ​What is our tailored Advanced VGB Program? ​It's an advanced Hypnotherapy Weight Loss Program which provides a safe alternative to weight loss surgery. Realise you are good enough! Increase confidence and self-esteem. The more you care about yourself the more you will care for yourself. Decide what the healthy weight for you is - free of the expectations of others. The Virtual Gastric Band was originally developed by Sheila Granger in the UK and is now practiced in 10 countries around the world. This program effectively accesses and harnesses the power that every person has to make changes in their lives. Many people of all shapes and sizes find long term solutions to their weight problems having undergone the VGB Program. 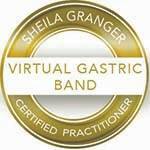 You may also know it as Gastric Virtual Band Hypnosis. It is a safe non-surgical technique utilising therapeutic hypnosis to retrain the person to be satisfied with smaller portions of food. Clinical hypnotherapy convinces the mind that the stomach is full after a smaller amount and there is no desire to eat more. Hypnotherapy sessions tailored to your specific lose weight hypnosis requirements. *Having completed in person training with Sheila Granger herself, I'm one of only a handful of certified practitioners in the Advanced program in Australia. If you'd like to find out more I'm happy to see you for a free 30 minute assessment session. 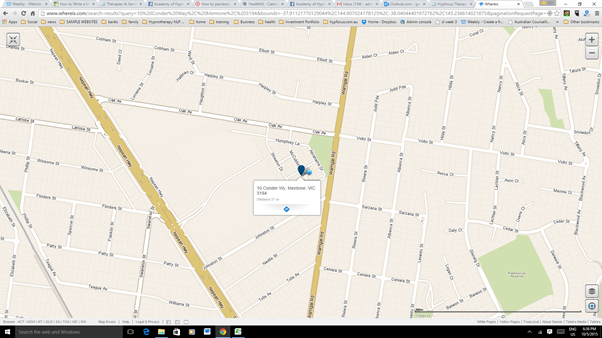 Click the button below to call and make your appointment. VGB, Hypnosis For Weight Loss - Losing Weight And Changing Your Habits. Get ready to undertake 30 minutes of exercise daily. ​This Hypnotic Band is absolutely NOT a diet – we know that diets don't work. The VGB allows you to eat the foods that you want to in moderation , but will enable you to feel satisfied with smaller portions. You'll enjoy things in moderation and feel satisfied. As it’s not a diet, you won’t feel deprived, obsessed about food or constantly hungry. As our tailored Virtual Gastric Band program effectively negates these issues, you are left with a long term solution to your weight problems. Your perception of food is altered and you will find yourself more inclined to make healthier choices both in relation to your eating habits and your lifestyle generally. It is safer, non-invasive and much more cost effective than the medical procedure and above all else it delivers results! Book Now to get started on achieving your weight loss goal! Participating Health funds offer rebates, check with your Private Health Insurer.